Hwang Kee the Founder of Soo Bahk Do. 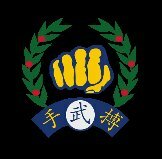 Soo Bahk Do™ is the name of the martial art founded and taught by Hwang Kee, his successor HC Hwang, and instructors are certified by the World Moo Duk Kwan Inc™. In Korea the indigenous arts of self defense (Soo Bahk Ki and Tae Kyun) were combined with other Chinese Martial Art principles and moral guidelines such as the philosophy of Do (Tao), No Ja (Lao Tzu) and Kong Ja (Confucius) by Founder Grandmaster Hwang Kee, into what is now known as Soo Bahk Do (Tang Soo Do) Moo Duk Kwan . This combination of techniques and philosophy resulted in the development of a form of self defense and mental conditioning unrivaled in the modern world. Grand Master Hwang Kee was first inspired to study the Martial arts in 1921 when he was about seven years old. At a traditional Festival called "Dan O" he was visiting a nearby village, where they had archery, wrestling and many other festivities. As Grand Master was enjoying the festival, a group of seven or eight men had a dispute with another man. Suddenly the group of men attacked the lone man, who began evading and counter attacking with his feet, eventually defeating the group of men. This ability to defend oneself against several attackers so impressed Grand Master Hwang Kee that at that moment he knew he wanted to learn the martial arts. For several years Grand Master Hwang Kee studied and researched every available source, and at the age of 22 he was recognized as a Master among other martial artists. In May of 1935 Grand Master Hwang Kee began working for the Korean railroad company which allowed him to travel. In May of 1936 he met a Chinese Martial Arts Master named Yang, Kuk Jin. Grand Master trained with Master Yang until 1946, when the communists controlled that part of the country. The training consisted of Seh Bop (postures), Bo Bop (steps), Ryun Bop (conditioning) and Hyung (Forms) with their applications. November 9th 1945 Grandmaster Hwang Kee founded the Moo Duk Kwan. (The Moo Duk Kwan is the organisation that certifies our instructors, controls the syllabus and maintains the integrity of our art). The basic ideal of the Moo Duk Kwan is the development of its participants. Strong individuals in Spirit and Body make strong communities, strong communities make strong nations, Strong and peaceful nations make a strong and peaceful world. The current President of the U. S. Soo Bahk Do Moo Duk Kwan Federation is Grand Master H. C. Hwang, the son of Grand Master Hwang Kee. Today, Soo Bahk Do Moo Duk Kwan is practiced in many countries.